A stunning still life of twelve sunflowers, in a yellow vase in front of a light blue background. The sunflowers all angles and shape, one of the most vibrant and powerful still lifes ever painted. Van Gogh Studio is based in Amsterdam, nearby the Van Gogh Museum where we continue to study the original works. Our paintings are all hand-painted by Dutch and world artists starting out on their own individual careers. They have studied the technique of Van Gogh, including brush strokes, colour mixing, ambience and rhythm of application. 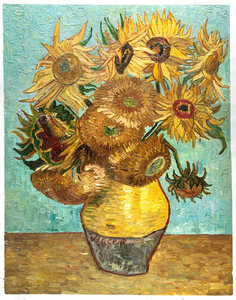 Van Gogh’s Sunflowers series is known throughout the world. The famous paintings are actually his second series on the subject, he initially worked on a series in Paris, though they were mostly studies of cut and trimmed sunflowers. Then in 1888 came his Arles Sunflowers, four paintings that shook up the world (only years later of course), and redefined what a still life could look and feel like. 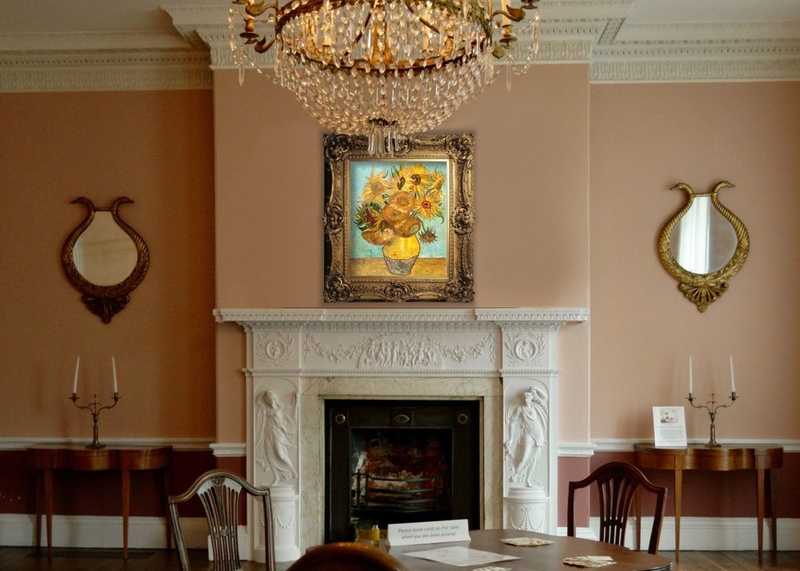 This famous series was undertaken for purely decorative reasons: Van Gogh wanted to give his new residence, the Yellow House in Arles, a homely feeling and prepare it for the visit of his friend, and artist, Paul Gauguin. His aim was to fill the walls with sunflower studies. There is evidence in his letters that he also planned at some later date to do a series of twelve more works. Gauguin was very interested in owning one of the Sunflower paintings, remarking when he first laid on it, it is ‘completely Vincent.’ Van Gogh was reluctant to part with it, and became worried he may lose them at some point so he set about replicating two of the originals. In true Vincent van Gogh fashion, the repetitions are not perfect copies, and become their own works of art. Since junior high school where I got to know Van Gogh, I have always wanted an oil painting from him, to see the details of his very characteristic strokes, knowing that it was hand painted. Finally that day came and my expectations are totally met! 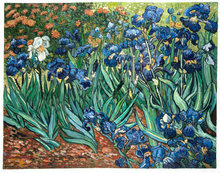 I am glad I found Van Gogh Studio and can’t wait to order my next painting. The painting arrived yesterday and was very well regarded! Thanks again for taking the time to keep me up to date with respect to the shipping progress. Wil even laten weten dat alles goed is aangekomen. Ben heel erg tevreden over het schilderij en weet zeker dat het een bijzondere plaats krijgt.